If you want your kid to learn how to ride a bike at an early age, then a balance bike is what you need. As you know, balance bikes come in different sizes, and there is no such thing as one size fits all because your kid will grow up eventually. The minimum seat height of a bike should be 1 to 1.5 inch below a child’s inseam. The minimum seat heights for bike range from 10 to 26.5 inches, so a bike that fits a one-year-old isn’t going to fit a five-year-old. For most kids, 12″ bikes are the best place to start, but the frames of 12-inch bikes can vary greatly with size, which is why it is best to rely on a bikes minimum and maximum seat height rather than tire size. 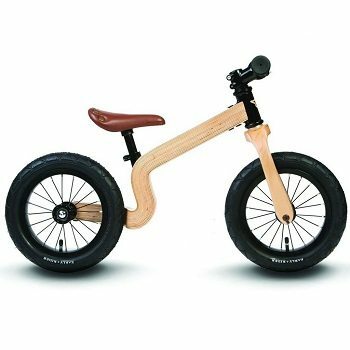 Balance bike tires can be solid foam, pneumatic or standard air, rubber - solid and honeycomb and plastic. The two main types are pneumatic (air) and foam. Air tires are the best all-around as they provide the most cushion and traction. Foam, rubber, and plastic tires are cheaper, lighter, and puncture proof, but provide much less traction and little cushioning. When considering the weight of a balance bike, you don’t want a bike to weight more than 30 percent of your child’s weight. 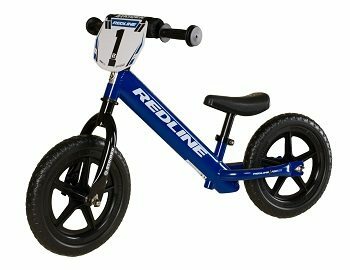 In case you are searching a balance bike for your kid, here are some of the best you might want to look into. 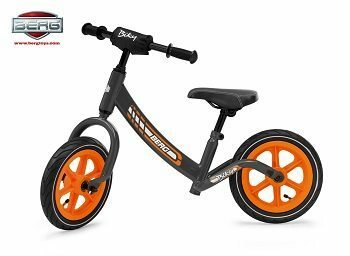 Let your kids enjoy exploring on their own with the Berg Toys Junior bike that is perfect for teaching your children age 2-5 balance. This walk bike features 28 PSI Air Filled Tube Tires with Hybrid Tread for smooth rolling, and the tires have a sealed bearing that makes rolling effortless. Boasts an adjustable bicycle seat and handlebars and rigged rear frame tubes that act as comfortable foot rests. Each tire has sealed bearing in each of the color-coordinated rims that allow for the karts smooth roll. It stands at 25in tall, 17in wide, and 34in long, with a weight of 15 pounds. The Berg Toys Juniors has a 2-year warranty. The Early Rider Bonsai delivers an outstandingly beautiful wooden bike with all the performance benefits of an aluminum frame. It is suitable for 1.5 to 3.5-year-olds. It features a weather-proof marine ply, made from FSC-grade birch veneers. A twin bladed, vertical drop outs, weather proof marine ply fork and aluminum flat bar measuring 25.4mm x 340mm. Product dimensions are 28.6 x 16 x 5.7 inches and weigh 10.3 pounds. The manufacturer provides a 2-year warranty for this bike. This stunning innovation and design smash the boundaries between performance and cost. 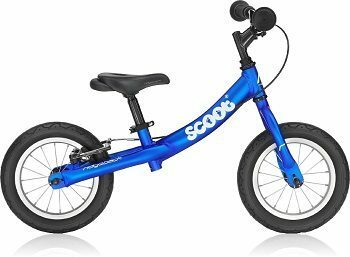 The Ridgeback Scoot Balance Bike is designed to meet the challenging demands of kids age 3-6. It features a sturdy 6061 aluminum frame that will not flex, deform or twist. Built like a real bike, not a toy. Rear V-brake provides excellent stopping power and brake cable is routed through the frame for clean lines. Heavy duty inflated rubber tires are puncture resistant. Rims are aluminum, laced to hubs with serviceable wheel bearings. It is available in 8 vibrant colors to suit any taste. Impeccably painted finish with decals under the topcoat makes Scoot easy to clean. Other features include an adjustable reach brake lever, internally routed brake cable, finely upholstered saddle with carrying handle, quick release seat post clamp, two seat posts, one long and one short. This balance bike weighs 11.3 pounds. 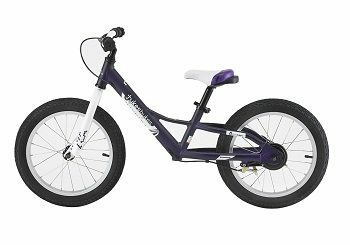 The Alley Runner Balance Bike is one of the best looking runner bikes on the market with its lightweight aluminum frame and forks. It features 12-inch pneumatic wheels, riveted faux leather seat, Adjustable seat height and a minimum seat height of 35cm. Also features an integrated headset, aluminum stem, and an anatomically correct, custom made contemporary faux leather saddle finish it off in style. The quality and geometry are the best you can give to your kid and still the price is reasonable. The 12 Sport model offers every feature a child could want, and It is the perfect balance of performance, options, and value. It is easy, safe, and natural way for toddlers to learn to ride on two wheels without the hassles and complications of pedals or training wheels. Stress-free to assemble and adjust, lowest seat height, lightest weight, and widest adjustment range that properly fits 18 months to 5-year-olds. It is maintenance-free, lightweight tires guaranteed to last a long time and never go flat. Tool-free for quick assembly and no tools needed for seat and handlebar adjustment. This balance bike weighs 6.7 pounds and can support a rider weight of 60 pounds. The Tykesbykes Charger is a high-quality balance bike designed for children 4-7 years old. It features a rear brake with cable routed through the frame to keep them out of the way; easy to reach brake lever designed for small hands. High-Grade paint and graphics with a clear coat finish to look good for longer and no peeling stickers. 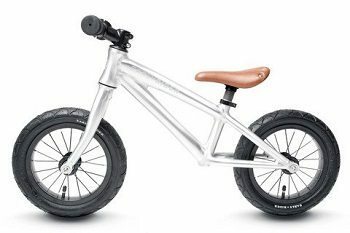 It is designed with wide BMX style handlebars, wide tires and low center of gravity to increase control and stability, so kids learn faster. All required tools and Instructions are included, comes 90 percent assembled and the high-quality components make this bike built to last. This balance bike weighs 13 pounds. 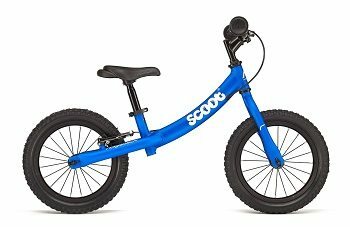 The new Scoot XL is similar in frame design and components with the exception of 14-inch wheels and a slightly larger frame size which works well for bigger kids ages 5-8 years. It features 6061 Aluminum alloy frame, inflated rubber tires by Vee Rubber, aluminum wheels, and full bearing hubs, rounded dome nuts on wheels, superior aluminum V-brake, adjustable reach child-specific brake lever. Internally routed brake cable for clean lines and finely upholstered saddle with integrated carrying handle. Quick release seat post clamp can be upgraded to 1 of 6 colors, and two seat posts included for growing kids. Furthermore, there is no weight limit and is strong enough to support an adult.